As Scott Eastment & Tru School Sports crack the Top 20 MLB Free Agents, just about all of the big-name free agents are still on the market, save for Brian McCann and Jhonny Peralta. With the Baseball Winter Meetings coming up from December 9-12, expect things to really pick up in the next few weeks for the bigger names. This time of year is where the GM’s make their money, so expect the relatively tepid MLB Hot Stove to get turned up a couple notches in the coming weeks. 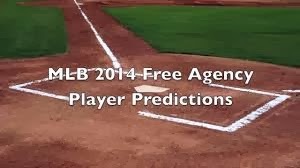 Make sure to check out the previous rankings 36-40, 31-35, 26-30, and 21-25 to see if your favorite team is interested. 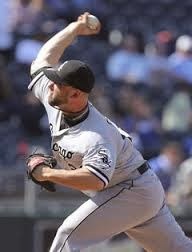 This guy is the relief pitcher that nobody is talking about, but should be. Jesse Crain has been eating through innings in the bullpen over the past 10 years (532 appearances with a 3.04 career ERA) without receiving much adulation. 2013 was looking to be his best year yet until he was sidelined with a shoulder injury. Crain’s loss is a GM’s gain as the reliable set-up man will not be very expensive (expect a one-year, incentive laden deal around $2.2 million) to sign and could provide immense upside to a struggling pen. The signing of Crain will be a no-lose situation for whatever teams acquires him, and if 2013 was any indication of his abilities, he could be one of the biggest steals of this offseason. While his statistics won’t blow you away (and neither will his fastball), Bronson Arroyo has become the model for an inning-eating middle-of-the-rotation starter who never misses a start and relies on changing speeds and precision control (1.7 BB/9 IP) in order to succeed. Consider Arroyo’s proven ability to pitch in both the American and National Leagues, on top of his playoff experience and veteran presence, this right-hander makes sense for not only contending teams but ones looking to bridge the gap between rebuilding and contending. Current rumors have Arroyo in heavy talks with the New York Mets, along with having received initial offers from several other teams. Expect his deal to likely be in the one-two year range and for roughly $8 million per. 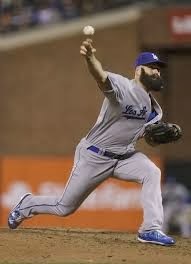 One of the less discussed studs on the market this offseason, closer/set-up man, and famed beard man Brian Wilson proved in his return from arm surgery that he still has nasty stuff. With a full offseason to continue to get stronger again, Wilson could sign as somebody’s everyday closer in the next few weeks, however it is more likely that he takes one more season as a set-up man in L.A., while being paid closer money of course. Wilson’s eccentric ways pose potential marketing opportunities for teams, a boost to the locker room, and an electric back of the bullpen-type arm. The Tigers and Dodgers are likely the front-runners right now for Wilsons’ services, but the Yankees have bowed out of the race because the wild man said he would never shave his beard for them. As one of the best young prospects in the game and a key cog in the Tampa Bay (Devil) Rays young rotation, Scott Kazmir had some of the most electric stuff in MLB. He posted a 45-34 record over a four-year span in Tampa that saw the team win 70 games only once, but they things started to fall apart. His incredible slider began to flatten out as he lost control of it and his power fastball began to flirt with the high-80s instead of the mid-90s. Kazmir basically fell off the map for a half-decade, but this last season in Cleveland proved he may very well be back. There are several things to really like about Kazmir: he is a lefty who can shoulder a serious innings load, his arm is relatively fresh for his age, he will not be asking for exorbitant contract, and he still feels as if he has a great deal to prove to both himself and his peers. BREAKING NEWS (as of 2:07 PM on 12/2: KAZMIR IS LIKELY HEADING TO THE OAKLAND A's! This 30-year-old switch-hitting first baseman will not be one of the more well-known signings of the offseason, but Kendrys Morales will make some GM a very happy man. Not only does Morales have the ability to hit both lefties and righties at a fairly high clip, he also has a better strikeout to home run ratio than either of the other power bats in free agency (Mark Reynolds & Jarrod Saltalamacchia). 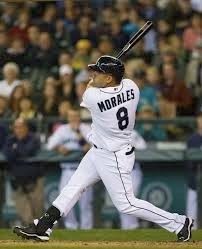 With a WAR of 2.7 in the 2013 season and his injury issues behind him, Morales could provide a contending team with an additional middle-of-the-order bat as well as reliable play at first base when called upon. He is not going to be the focus of any lineup, but he has all the tools necessary to post a 30 HR/100 RBI type season if put in the right place. Great stuff as usual! Glad to see Kazmir is going to Oakland which is a historically pitcher friendly park so that bodes well for him. If the Marlins get Kendrys Morales then I might have to watch more than 90 games this year.